Decision science shows that human decision-making is fraught with systematic biases that lead to suboptimal decisions in all contexts. 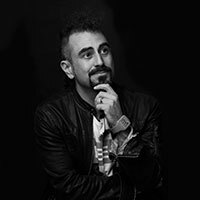 Here, Faris Yakob outlines the key biases that advertising practitioners should be on the lookout for. In last month’s column, we looked at cognitive biases and how they can be applied to making more effective brand communication. We mentioned that practitioners are people too, and thus prone to the same biases, which must impact our work. The piece triggered a great deal of conversation on Twitter, with very smart and experienced ad folk weighing in on the most important biases that detrimentally affect our efficacy. Strategy is making decisions. In the case of the advertising business, it’s about how to allocate finite resources in conditions of uncertainty to maximise the chances of desired results through creative interventions. Decision science (what Charles Schwab has taken to calling Choiceology in its new podcast series) shows that human decision-making is fraught with systematic biases that lead to suboptimal decisions in all contexts. Even when we are very aware of the heuristics that bias behaviour in others, we tend to discount them in ourselves; this is called the bias blind spot. More than 85% of people surveyed believed they were less biased than the average person; only one person believed themselves to be more biased than average. So, which ones in particular should advertising practitioners be on the lookout for? Survivorship bias: The logical error of concentrating on the things that made it past some selection process and overlooking those that did not, typically because of their lack of visibility. Do you look at advertising case studies for inspiration? Great! It’s good to know about the best of what’s out there. However, you shouldn’t take award-winning ideas as representative, since, by definition, they are the least frequent and the most visible. Complexity bias: The logical fallacy that leads us to give undue credence to complex concepts. Creatives ask for single-minded propositions and clients want succinct recommendations, but we tend to believe answers because of their nominal complexity. Occam’s bias: Paradoxically, we also tend towards simplistic solutions and direct causality in incredibly complex situations, like understanding human economic behaviour, which is far from simple. Trying to hone things down to the simplest possible expression can render the truly complex wrong. Differentiation bias: Decades of orthodoxy around distinctiveness and standing out means we tend to default towards challenging category norms, zagging rather than zigging, positioning, regardless of the problem at hand. Ultimately, this is one of the key questions of strategy: do you do what everyone else is doing, since they are all doing it for some good reasons, or do you do the opposite? Planning fallacy: Planning is inherently optimistic, making recommendations and plans about an uncertain future and we tend to build in the assumption that everything will go perfectly, which, on average, it never will. Kahneman identified this one: predictions about how much time will be needed to complete a future task display an optimism bias. Being aware of our own biases doesn’t mean we aren’t still susceptible to them. However, keeping them in mind and salient among our teams means we can at least try to counter them – or take advantage of them. Being aware of our tool bias, we can play to differentiation bias and eschew PowerPoint once in a while. Being aware of survivorship bias can remind us to look more broadly for insight and inspiration. Sometimes leveraging a bias makes for a better meeting and helps to sell in an idea or win a pitch. Don’t forget, clients have biases too.